I open this thread to group processing examples I posted in the different sub forums. The title corresponds to the original in the subforum. 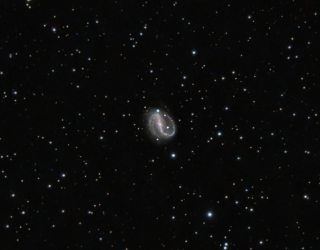 It is detailed who owns the image and date of processing, because as time passes my techniques have changed and may be useful to know when it was published. 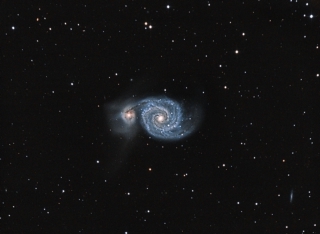 Comments, criticisms and suggestions for improvement are welcome in order to improve our knowledge and use of PixInsight. 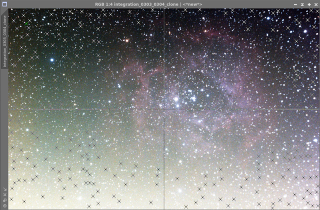 Image of Andres Pozo publicated in Gallery - Increase details in the Nebulae and noise reduction - Main notes: Contrast with HDRMultiscaleTransform and LocalHistogramEqualization. 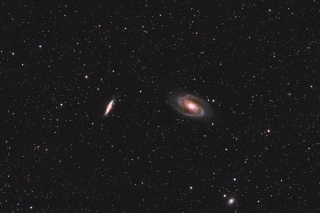 Image publicated in Gallery - highlight the fine luminosity in the periphery of the galaxy - Main notes: high stretch with HistogramTransformation - Saturation - Contrast with ATWT. Image of JohnP publicated in Image Processing Challenges - Uncalibrated integration - Main notes: Create a mask and eliminate hot pixels with Morphological Transformation Tool. 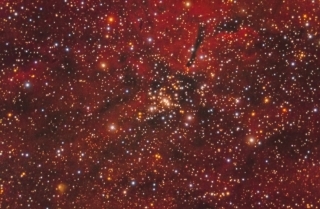 Image of Scott publicated in Image Processing Challenges - Noise image and lack of signal - Main notes: Contrast with Adaptive Stretch protecting with a special RangeMask and noise reduction. 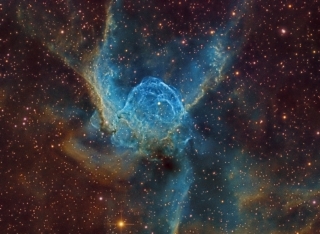 Image of cbobchin publicated in Gallery - Blue halos - Main notes: Starmask and Interchannel Curves to reduce halos. 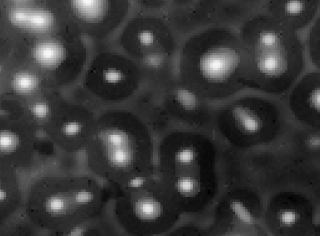 Image of MJCformCT publicated in Image Processing Challenges - Noise image and lack of signal - Main notes: Cosmetic Correction, Adaptative Stretch and Saturation to increase contrast. 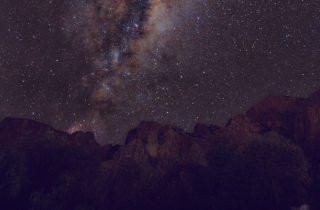 Image publicated in Gallery - One shot 30 second image - Main notes: Range mask to process sky independiently from mountains, ATrousWaveletTransform to reduce noise in chorminance by layer. Image publicated in Gallery - One shot noise image - Main notes: Adaptative Stretch to reveal dim background and Range Mask to process high contrast areas. 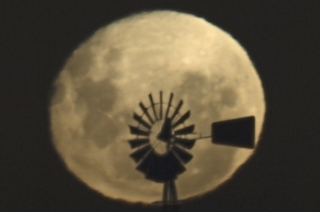 Image of Ignacio publicated in Gallery - Noise reduction - Main notes: ATrousWaveletTransform to reduce noise in chorminance by layer. 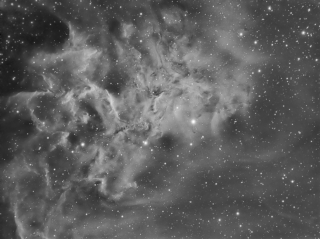 Rosette Nebula - help, can this be processed? 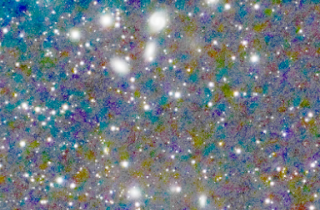 Image of jsines publicated in Image Processing Challenges - Partially proccesed - Main notes: DynamicBackgroundExtraction and Repaired HSV Separation script. 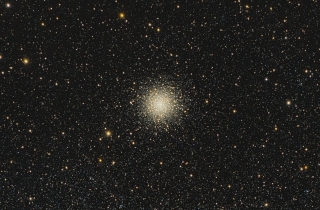 Publicated in Gallery - Part of NGC 292 to analize the achieved colors - Main notes: Deconvolution using Regulatized Van Cittert Algorithm and detailed structure mask of the cluster. 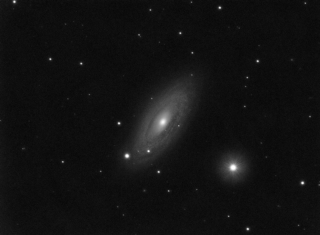 Image of dgbarar publicated in General - Description until Deconvolution - Main notes: PSF and Deconvolution, correction of halos. Newb PI Convert - Noise Assessment? 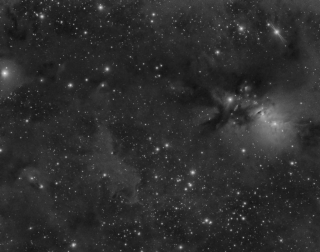 Image of f11 publicated in General - Complete description of an L image - Main notes: DBE, CosmeticCorrection, PixelMath, Noise reduction. 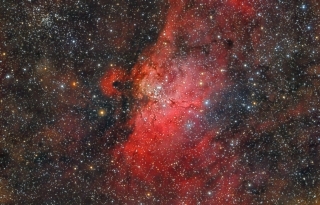 Publicated in Gallery - Complete description of an image with excellent adquisition conditions - Main notes: Enhancement of contrast in nebulae structures in the galaxy with ATWT and HDR for the cluster. 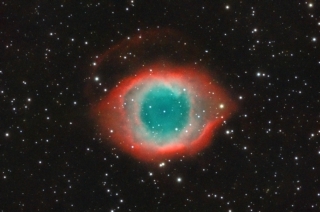 Image of niteman1946 publicated in General - Deconvolution process - Main notes: PSF and Deconvolution, correction of halos. 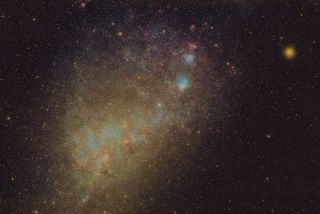 Publicated in Monthly Contest - Complete description of a RGB image - Main notes: Deconvolution by channel, correction of dark pixels in the background (old metod), DrawSignature. 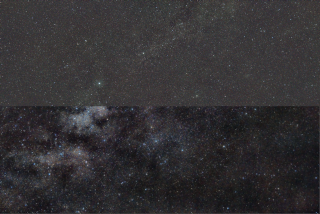 Publicated in Gallery - Complete description of a RGB image - Main notes: DBE and CBR for big gradientes and banding, HDRWT, InterChannelCuerves to increase details in Blue channel. 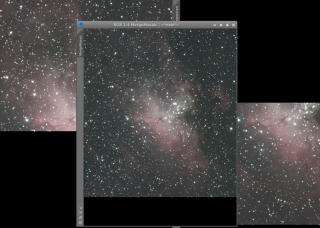 Image of Christoph Puetz publicated in Image Processing Challenges - Complete description of a very weak nebulae - Main notes: MaskedStretch, Saturation, ATWT for Chrominance noise reduction, LogStretch. 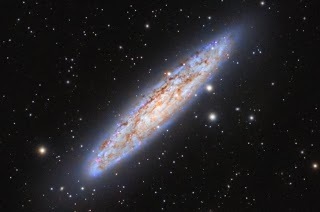 Publicated in Monthly Contest - Complete description of a RGB image - Main notes: Inspecting with HE, Deconvolution rings, HDRWT, Exponential Transformation, stars reduction. 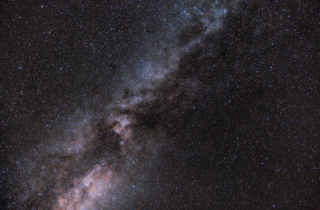 Image of DanielF publicated in Image Processing Challenges - Complete description of a RGB Image - Main notes: ABE+DBE, Saturation+ACDNR, InterChannelCurves, incresase details with MMT. 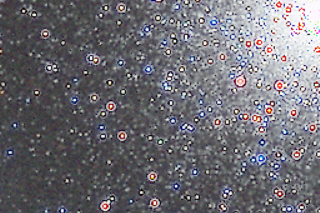 Image of LorenzoM publicated in Image Processing Challenges - Complete description of a Luminance - Main notes: MaskedStretch, GREYStoration for noise reduction, LHE for contrast. I am in trouble with this one.... need some help! Its a great idea to bring all your valuable impressive processing examples under one TOC. Its like a book now. It saves a lot of searching time for the different "HowTo"s and makes all visible at a glance! Alejandro, this is a terrific idea. Losing access to any of these wonderful tutorials would truly be a loss to the PI community. Thanks you for making it so easy to find these great resources. Thanks a lot for the list of your processing examples (with the main notes!!). I saved most of them; but there were still some missing. 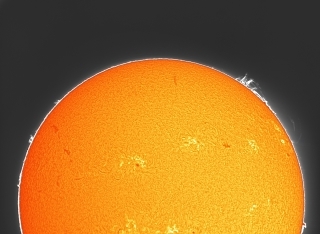 Interesting to see also some examples on how to process solar images. 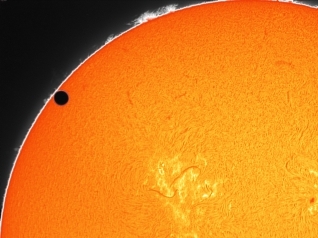 Till now, I couldn'd find a lot on solar or planetary processings. I think this way is easy an quick for pointing examples for those that are starting to use PI. I will update the link with each new example. Have you considered making some videotutorials, like Harry? 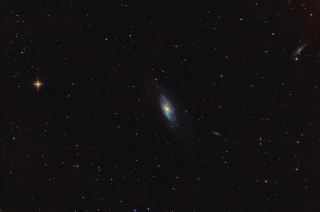 Earlier today, while reading your SMC NGC 292 thread, I was thinking "Huh, someone ought to put together a post with links to all of Alejandro's great tutorial threads, because that would be a fantastic resource." Needless to say, at the time, I had not finished going through all the "Unread posts since last visit". Thank you for reading my mind. This will, indeed, be a fantastic resource for us paduans still learning PI! Keep up the good work. Yes, it is more organized now, I will add links while examples are coming. Videos... , maybe, but the problem is that I am not good in english..., maybe in spanish ..., luckly we have Harry's, Gerald's, etc. 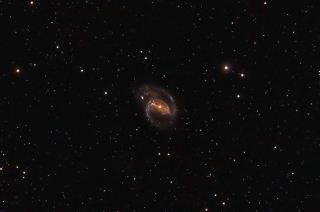 Added link to NGC 362 in the first post. I think this thread should definitely be made sticky, these are invaluable. Thank you for all the effort, Alejandro! First a big thank you to Alejandro for this huge tutorials! Second, this is absolutely wort to make it sticky! Nearly all the processing steps needed for all cases is decribed here in! Thank you all for the support. Updated Latest examples. See this post for more information about the page.